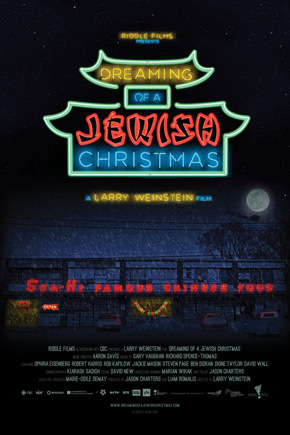 DREAMING OF A JEWISH CHRISTMAS is an offbeat, irreverent musical documentary that tells the story of a group of Jewish songwriters, including Irving Berlin, Mel Tormé, Jay Livingston, Ray Evans, Gloria Shayne Baker and Johnny Marks, who wrote the soundtrack to Christianity’s most musical holiday. It’s an amazing tale of immigrant outsiders who became irreplaceable players in pop culture’s mainstream – a generation of songwriters who found in Christmas the perfect holiday in which to imagine a better world, and for at least one day a year, make us believe. 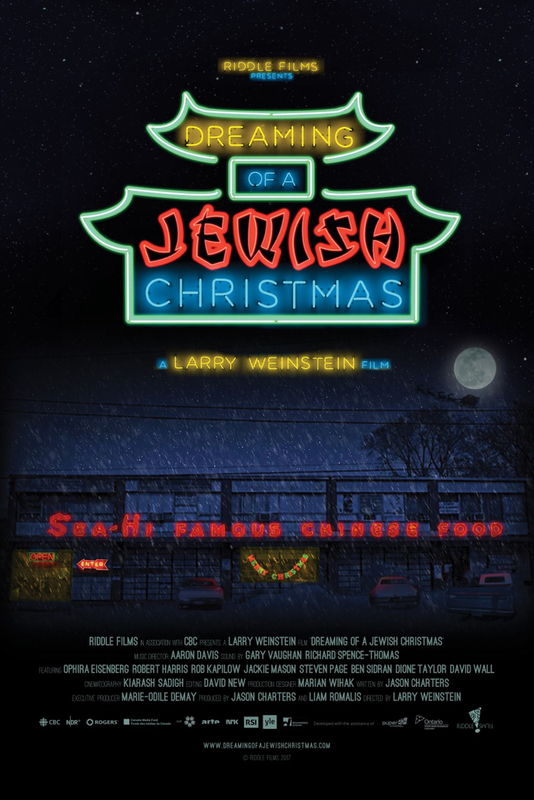 Larry Weinstein began to make films as a teenager while attending Earl Haig Secondary School. He went on to attend York University's film school. This led to teaming up with Barbara Willis Sweete and Niv Fichman to co-found Rhombus Media in 1979. Weinstein's directorial debut came in 1984's Making Overtures: The Story of a Community Orchestra, which was nominated for an Academy Award for Best Documentary Short and won the first-ever Best Documentary Gemini Award in Canada. Best known for classical-music projects such as Ravel’s Brain, Beethoven’s Hair and Mozartballs, Weinstein made 36 films that have garnered dozens of awards from around the world, including three International Emmy Awards (and several other Emmy nominations) and 12 personal Canadian Screen/Gemini Awards, as well as major awards in Canada, the United States, France, The Czech Republic, Mexico, and Australia. His films have been broadcast in over 40 countries and he has been the subject of many International film retrospectives including those at the Hot Docs Canadian International Documentary Festival, The Jakarta International Film Festival in Indonesia, Doc Aviv in Israel, MOFFOM (Music on Film-Film on Music) in the Czech Republic, The Look of Sound in Germany, Impara L’Arte in Italy, the Havana Film Festival in Cuba, and a recent tribute at TIFF Bell Lightbox in Toronto.